Net neutrality is not a new concern What Is Net Neutrality & Why Should I Care? What Is Net Neutrality & Why Should I Care? A significant number see Net Neutrality as essential to the survival of the Internet. In this article, we're going to look at why Net Neutrality matters, and why we should fight to protect it. 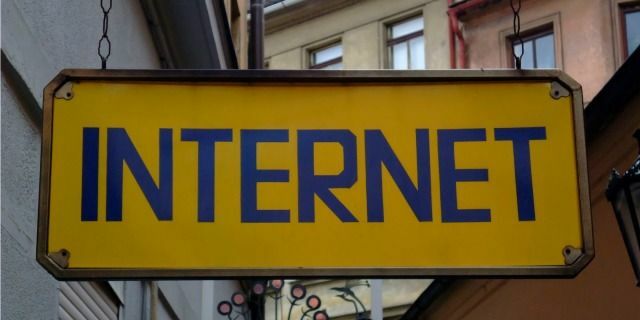 Read More , but has once again come into the spotlight with impending plans to roll back the net neutrality rules Will ISPs Help Protect Net Neutrality? Spoiler Alert: No Will ISPs Help Protect Net Neutrality? Spoiler Alert: No There are claims that net neutrality could soon be taking a big hit in the United States. Is this true? What's going to happen to net neutrality? Are ISPs on our side or not? Read More made under the Obama administration. A new Chrome extension aims to demonstrate just how bad that rollback could be. Trying to explain net neutrality — the idea that ISPs shouldn’t be able to throttle your internet speeds or limit access to parts of the web based on the sites you’re visiting — is tough because it’s often met with glassy-eyed stares. Now, rather than trying to explain, you can just show. Chrome extension Removal of Net Neutrality Simulator shows users just what the internet would be like if the FCC really goes through with its plan to dismantle net neutrality as we know it. Once you install the extension, you’ll instantly see its effects. First, your internet will be significantly slower. Without net neutrality, ISPs would be free to throttle your internet speeds without restriction. With this extension, some sites are simply inaccessible. If you try to load Netflix, you’re told to use Hulu instead. If you want to Google something, you’re going to have to Bing it. Of course, we don’t know exactly what the internet would look like without net neutrality or how ISPs would take advantage of lifted restrictions. But this extension gives a “worst case scenario” experience, and it’s a great way to raise awareness and get people to care about why net neutrality matters. What do you think of this Removal of Net Neutrality simulator? Do you think we should be concerned about the FCC rolling back restrictions? Let us know in the comments. Explore more about: Browser Extensions, Google Chrome, Net Neutrality. "Chrome extension Removal of Net Neutrality Simulator shows users just what the internet would be like if the FCC really goes through with its plan to dismantle net neutrality as we know it....Of course, we don’t know exactly what the internet would look like without net neutrality or how ISPs would take advantage of lifted restrictions. " We DO know what the Internet would look like; competition for subscribers would lower costs, tech sites would post...oh, I don't know...TECH stories instead of Totalitarian troll shills, Rush's song, "Witch Hunt" (Those who know what's best for us must rise and save us from ourselves...) wouldn't be a description of reality. Net Neutrality is on display all day on the "major network" "news" shows. It's like living in George Orwell's book, "1984" where the TV watches you and the benevolent, caring government makes sure you don't make any "mistakes" (because you're not capable of thinking for yourself or being responsible for the results of your actions). Once you make too many mistakes, they "help" you "out of your misery." Don't like Orwell, OK, Kurt Vonnegut's short story, "Harrison Bergeron." Don't like Kurt because he helped Rodney Dangerfield expose the sham of "higher education?" OK, Aryn Rand...Tom Payne...Frederick Douglass...Martin Luther King, Jr. (before he got sucked into the Soviet manipulation...)...Saturday Night Live (when they actually were cutting edge...like the one-shot cartoon which covered media ownership and censorship...Net Neutrality for TV! )...any other entity which promotes the interconnected values of private property and personal responsibility. This is like saying "experiende how terrible freedom of the press could be without print/press neutrality. Yes, freedom does allow people to do all sorts of bad things - however , that doesn't mean everyone will do them. Net Neutrality is first based upon the view the state has the right to regulate communication in opposition to the 1st amendment which implies freedom of communication of those modes popular when the Bill of Rights was written - freedom of oral communication and freedom of printed communication and freedom of communication by expression (added by SCOTUS as implied). Don't let technology and authoritarians allow your 1st amendment rights to be taken away simply because they use a different mode of communication other than speech and press - like the internet. This is stupid. We know exactly like the web would be like with out net neutrality-- just think back a couple of years when we didn't have it! Thanks Jimmy John, I was going to post the same thing. The hysteria over this never ends. Want to know what a lack of net neutrality looks like, coupled with a lack of any active FCC equivalent at all? It's called Denmark. They realized once they pulled the government out of an active role, their FCC equivalent had almost nothing to do so it was largely shut down. The industry there monitors itself through an industry group, which has only met once over a disagreement, and the offending company obeyed the resolution approved by its peers. People hold up Scandinavian countries up as great examples all the time, when so often those countries experiences directly contradict the nonsense they're trying to spread.